For a Hollywood home built over a century ago, the first step in a renovation was to "edit" the details. 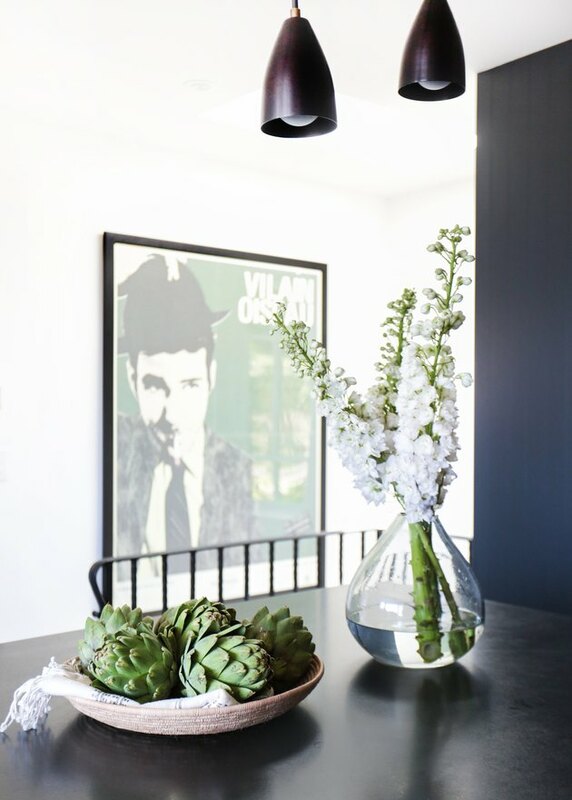 "The house was built right smack dab in the middle of Los Angeles in the 1920s and it has a very glamorous old Hollywood appeal, but the design we strive for is something more eclectic and not your typical version of that style," said Vanessa Alexander, owner of Alexander Design. The client, writer/director Marc Webb (500 Days of Summer, The Only Living Boy in New York) wanted a space with a simple flow and comfort, but for Alexander that didn't mean losing the uniqueness of the space. "We simplified the home's story, but still referenced all its influences (Spanish, Moorish, Old Hollywood) with the new materials." Her end result is something that feels historical and luxurious without appearing overbearing. 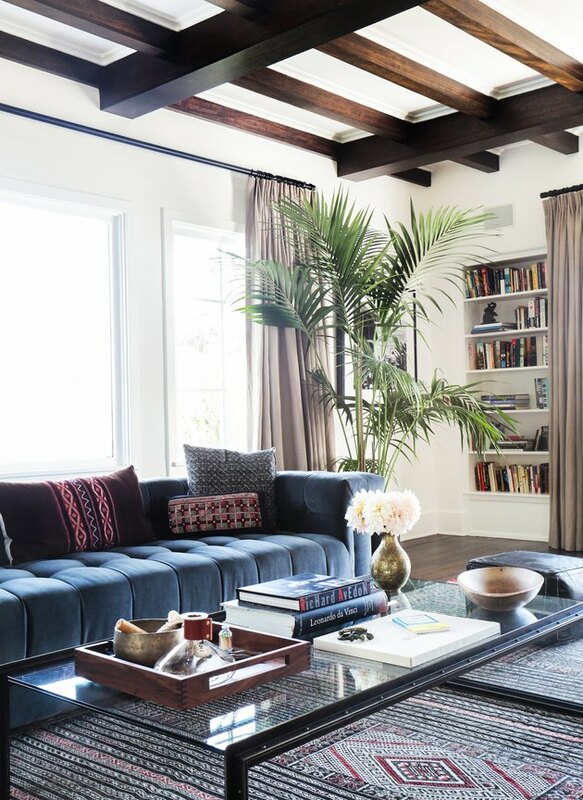 "The sofa's low-slung silhouette offers a contemporary note against the antique items. It was important to create a flow with the furniture and tell a cohesive story," Alexander said of the modern Chesterfield Sofa covered in Rogers & Goffigon blue velvet. Her firm built the full-length bookshelves to display Webb's impressive book collection. In the entryway, a flat weave rug plays a textured contrast to concrete floors. 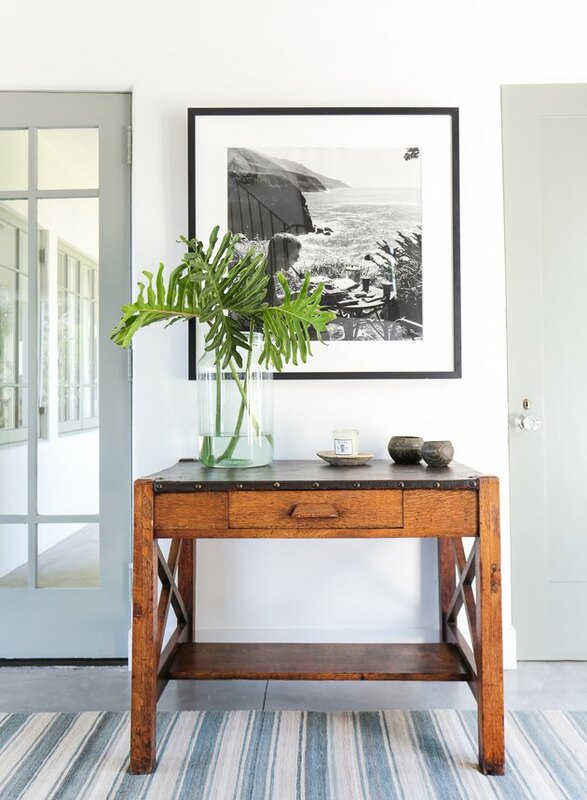 The leather-topped wood console adds a vintage feel to the space. Alexander used a mix of vintage pieces from the 1920s with custom furnishings to create a unique design that feels both old and new. 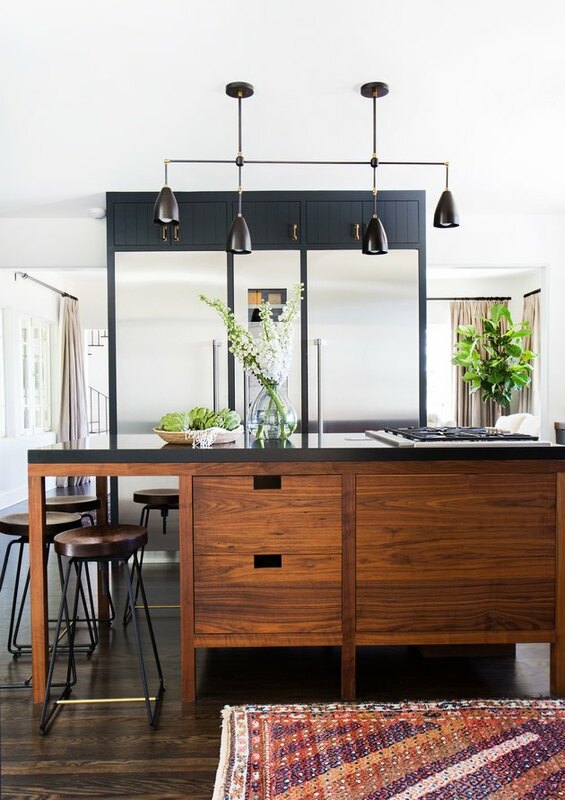 Alexander Design custom-made this walnut kitchen island, which features a black granite countertop. The firm also created the bar stools, which they made from aged brass steel and walnut. The ceiling lights are by Apparatus. 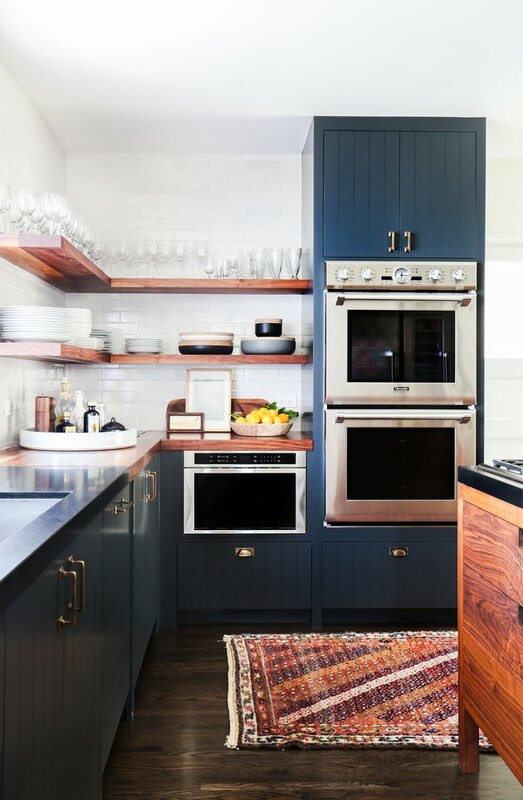 The cabinets were also custom and outfitted with hardware from Liz's Antique Hardware. A vintage kilim rug from Mehraban ties in the colors from the open wood shelving. The bedroom brings together an eclectic mix of design with a Moroccan-inspired pouf and a pillow covered in Zak+Fox fabric. 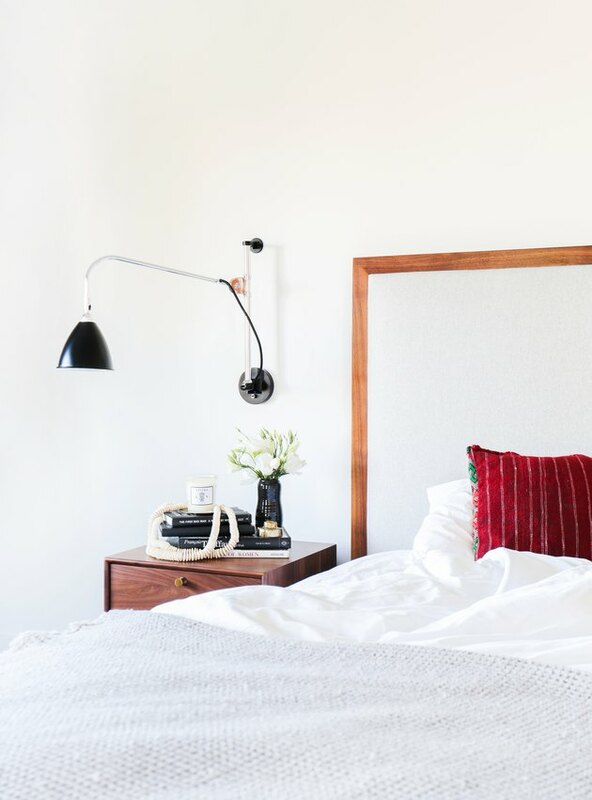 Alexander created a custom headboard upholstered in Rogers & Goffigon gray tweed and she outfitted the bed in sheets from Matteo. A side table from Design Within Reach sits below the Gubi light from Horne. 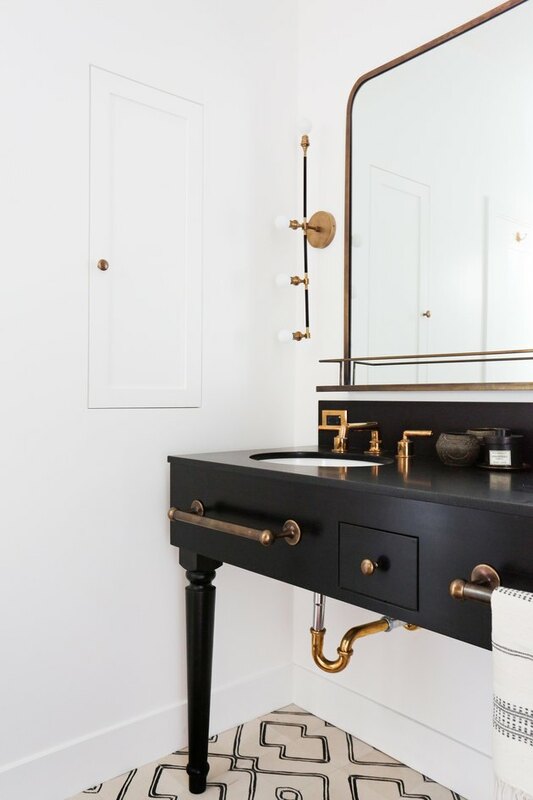 Perhaps one of the most obvious homages to the home's Old Hollywood past is in the bathroom. 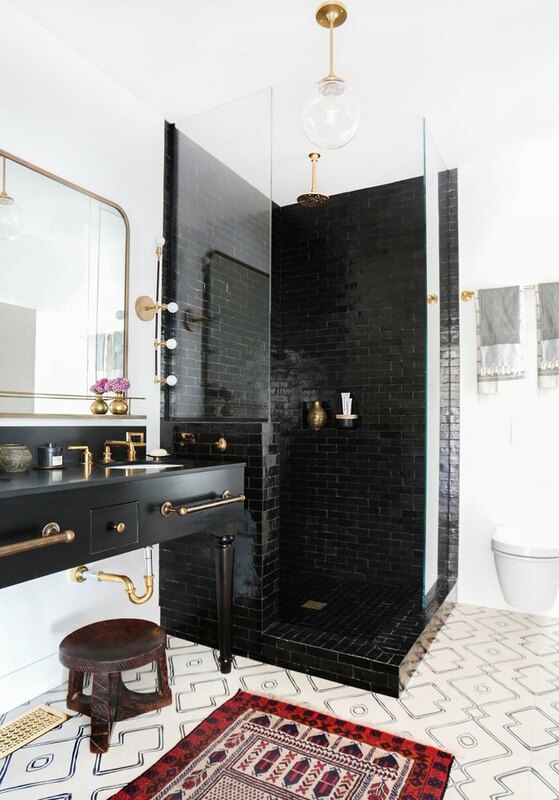 Black Mission Tile West shower tiles and Waterworks' Henry faucets work together to create a glamorous look. Exquisite Surfaces floor tiles from the Commune Collection and brass fixtures from Waterworks channel an Art Deco vibe. 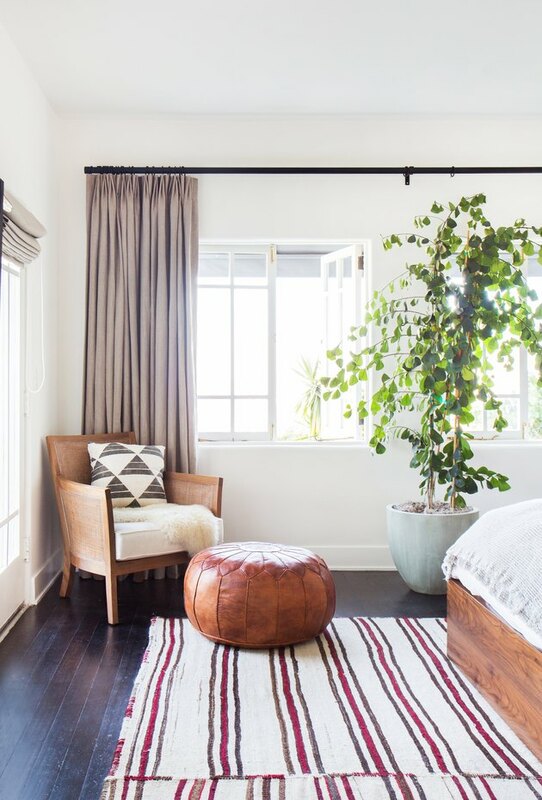 A vintage kilim rug from Nickey Kehoe brings a lived-in texture to the space. 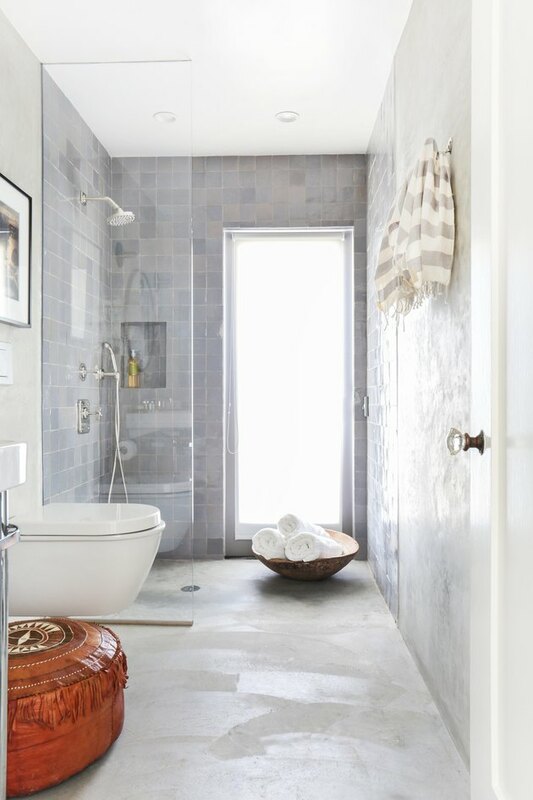 In another bathroom, Alexander took a more modern approach with concrete floors, an open shower, and gray tiles.